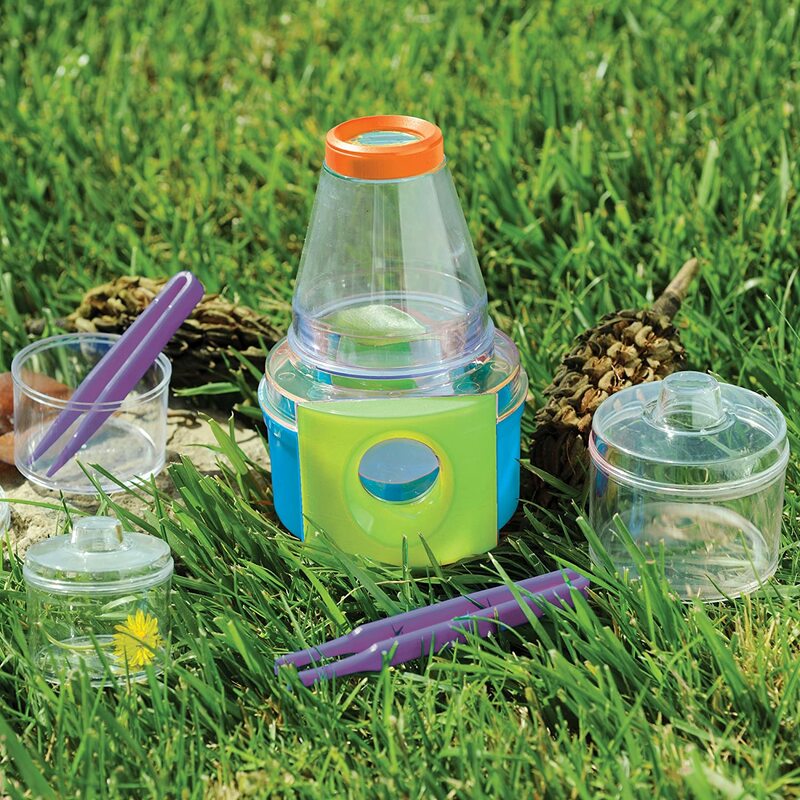 Set includes 2-piece Double-Viewer, 3 collecting jars with magnifying lids, and 2 pairs of tweezers for collecting samples. 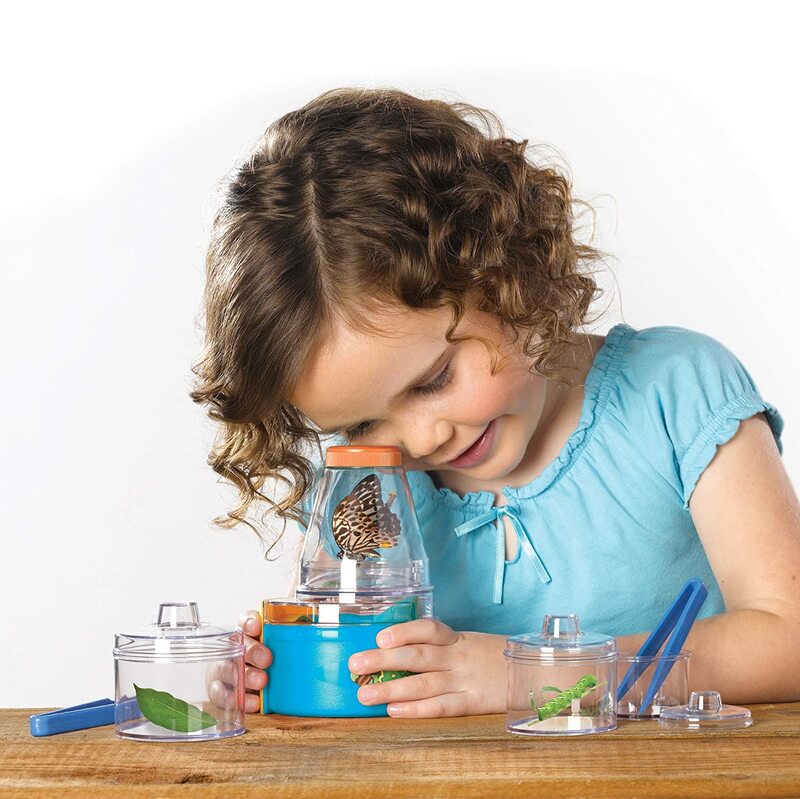 Double-Viewer enables kids to see their specimens from both the top and the bottom! 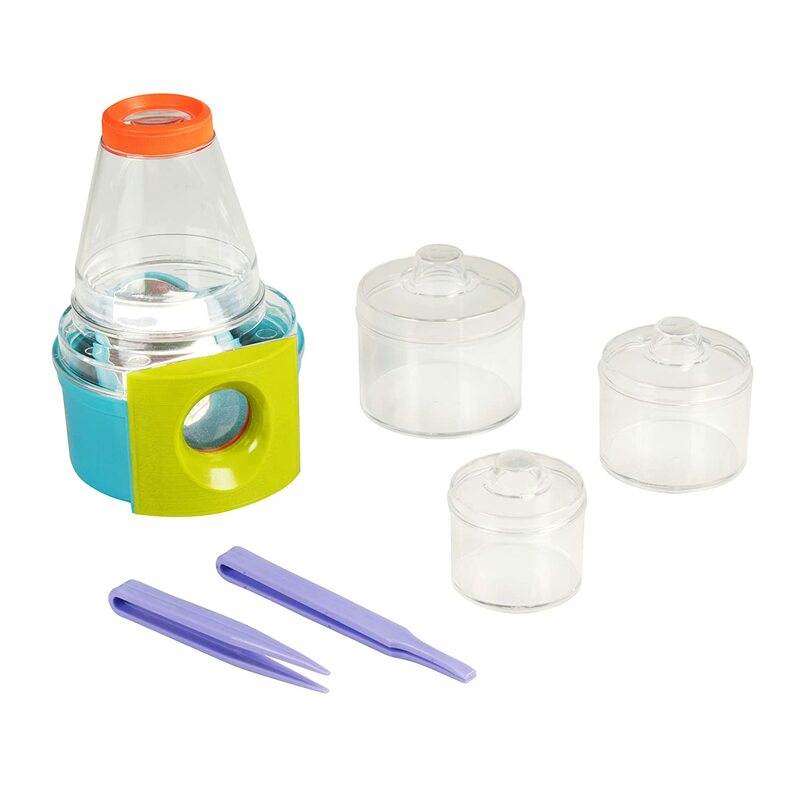 Collection jars feature magnifying lids for up-close study. 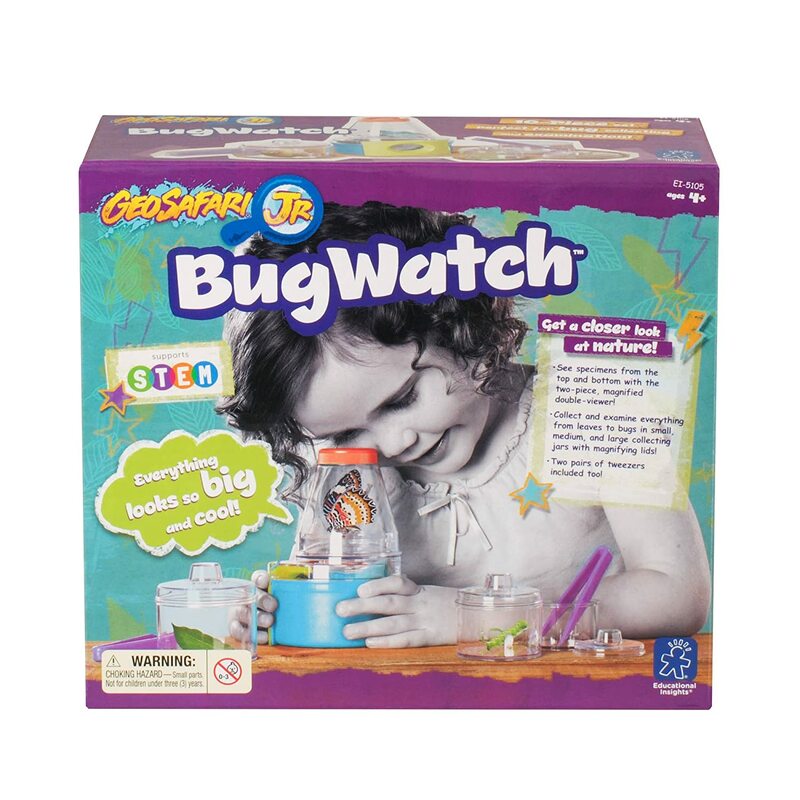 Supports STEM learning and encourages an early love of scientific investigation and discovery. 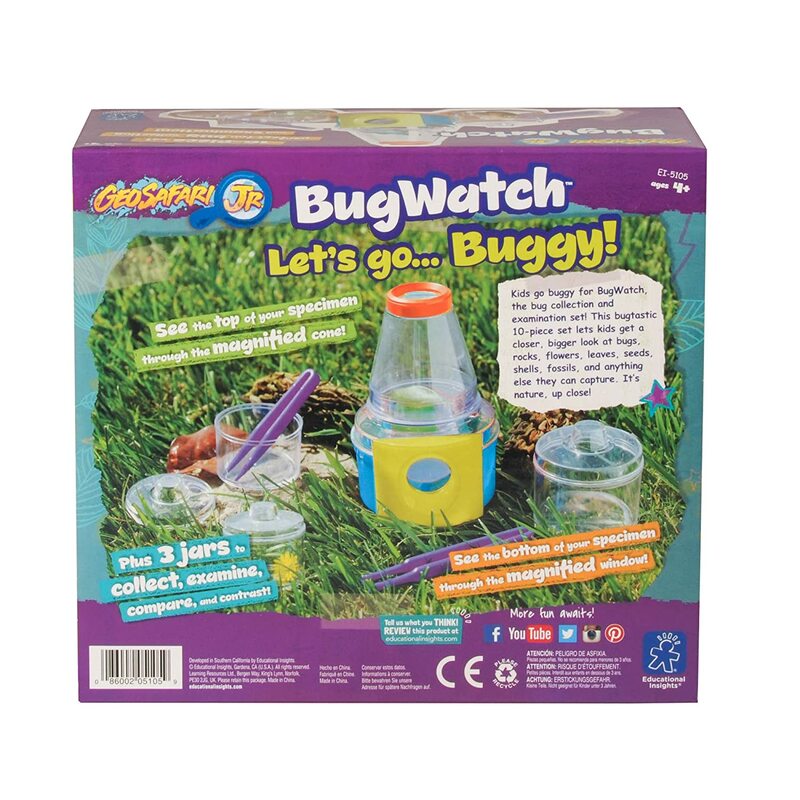 Encourages kids to get outdoors and explore! 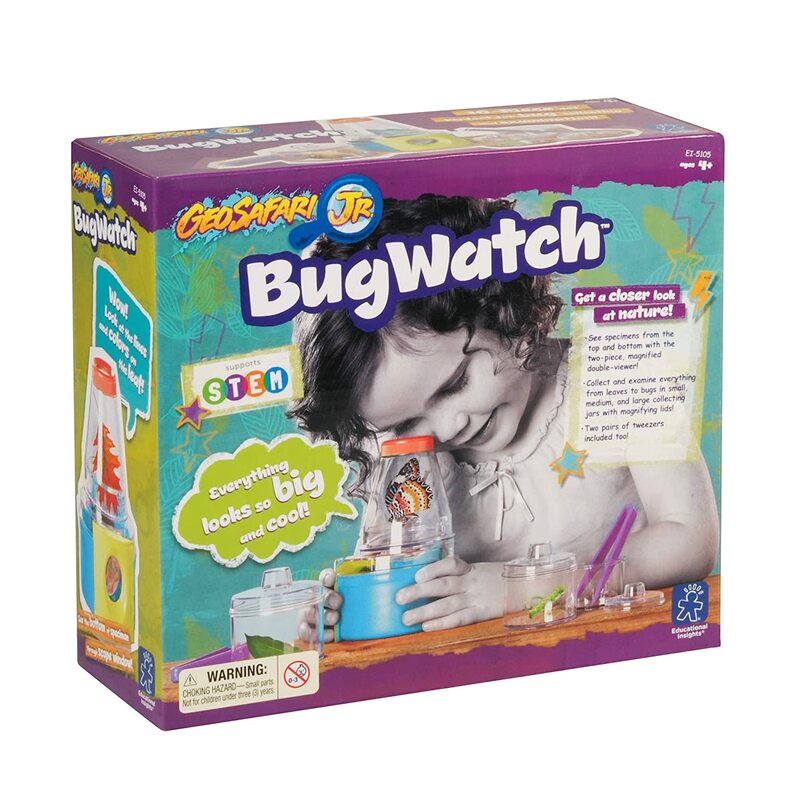 Substantial 7-piece set includes all the tools kids need.